Challenges in the Down-selection and Code Qualification of an Advanced Austenitic Alloy for High Temperature Reactor Applications. The mission of the Office of Nuclear Energy (NE) of the Department of Energy is to advance nuclear power to meet the nation's energy, environmental, and energy security needs. A variety of research and development activities in the advanced materials areas is being supported by NE to significantly improve the efficiency, safety, performance, and economics of advanced high temperature reactor systems. In addition to the operating temperature range, the selection of construction materials for an advanced reactor is critically dependent on the coolant system because of material compatibility and mass transfer issues, particularly for the lengthy design lifetime desired to reduce the annualized capital cost. In this presentation, an overview of multi-Laboratory efforts in the down-selection of an advanced austenitic alloy for structural applications in high temperature reactor systems will be given. The requirements and challenges for the Code qualification of this advanced alloy in the nuclear section of the ASME Code in support of the design, construction and licensing of advanced high temperature reactors are discussed. Climate change is an extremely important issue and nuclear can be part of the energy mix in addressing CO2 emission. We encourage the best and the brightest graduates to join us to address these materials challenges. Dr. Sham is the Technology Director in the Nuclear Engineering Division at Argonne National Laboratory. His technical specialty is in deformation and failure of advanced materials and structural mechanics technologies for high temperature reactors. He is Technology Area Lead for the multi-Laboratory advanced materials R&D activities of the Office of Advanced Reactor Technologies, DOE-NE. The portfolio includes advanced alloys, graphite, and SiC/SiC composites for structural applications in high temperature thermal and fast spectrum reactors. In addition, he leads the DOE-NE international R&D efforts on advanced materials and code qualification for sodium-cooled fast reactor structural applications. He is a member of the ASME Boiler and Pressure Vessel (BPV) Committee on Construction of Nuclear Facility Components (III), and BPV III Executive Committee. He chairs BPV III Subgroup on Elevated Temperature Design, which is responsible for the development and maintenance of design rules for nuclear components in elevated temperature service. He was elected ASME Fellow in 2000. 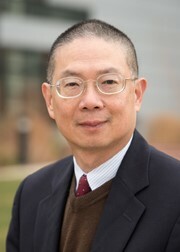 Before he joined Argonne in 2015, Dr. Sham was a Distinguished R&D Staff Member at Oak Ridge National Laboratory, held senior positions with AREVA NP Inc. and Knolls Atomic Power Laboratory, and was tenured faculty at Rensselaer Polytechnic Institute. He holds a B.Sc. degree, First Class Honour, in Mechanical Engineering from the University of Glasgow, Scotland, and M.S. and Ph.D. degrees (Mechanics of Solids and Structures) as well as an M.S. (Applied Mathematics) from Brown University.